Nearly all municipal water supplies are regulated by State and Federal agencies, and periodic testing of the relatively short list of contaminants regulated by the U.S. Environmental Protection Agency provides some degree of consumer protection. The AquaCera EcoFast AquaMetix Quick Change under-counter water filter system is a single-stage, in-line pressure filter system that connects to your cold water line. The housing’s quarter-turn, quick-change design has a built-in automatic water shut off valve that makes removal of the filter for maintenance or replacement very easy. The compact and slim design will fit in small, under-sink areas and has no exposed tubing that runs from the filter to the faucet. 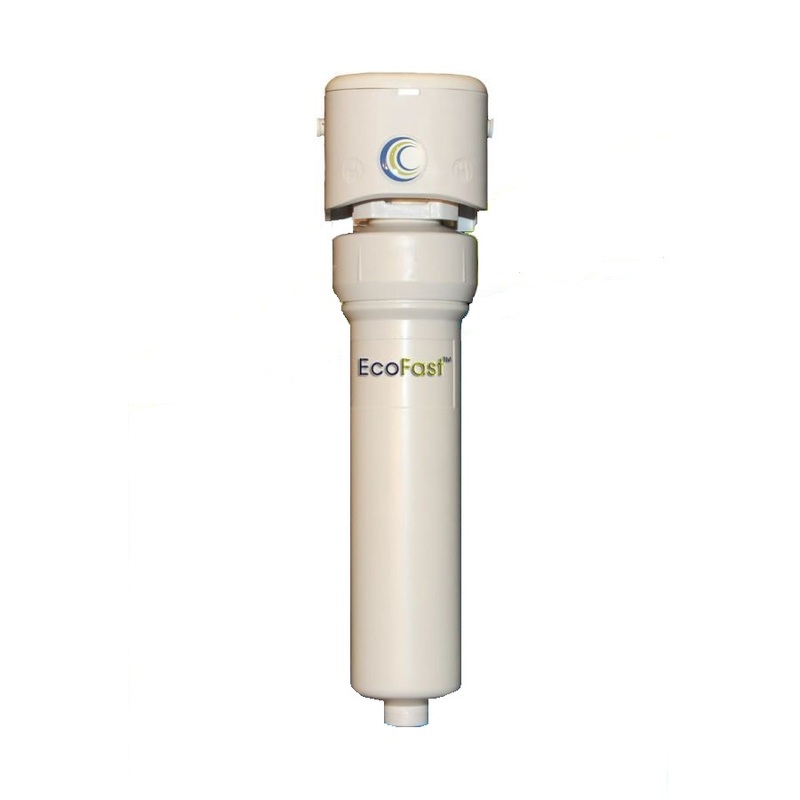 The filter housing holds one replaceable filter element and comes with EcoFast AquaMetix filter element. • Another filter option for the EcoFast under-counter system is available here. • Several other under-counter water filter systems are available here. • Several counter-top water filter systems are available here. The EcoFast AquaMetix filter element is a proprietary matrix comprising of at least two types of activated carbon, combined with crystalline mono and di-calcium phosphate along with chemically active calcium carbonate, structurally bound with polymers into a highly porous block filter form. 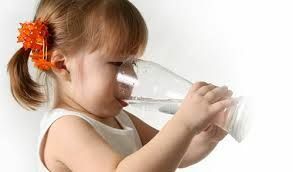 It will reduce a wide variety of drinking water contaminants of both aesthetic and health concern. The dense pore structure and vast surface area is ideally suited to improving taste and odor, color, chemicals, MTBE, and fluoride.